Chicago Sign Company is an established local provider of canopy tents and our years in the business have helped us earn the knowledge, technology, and craftsmanship to create the ideal tent for your brand, event, location, timeline, and budget. 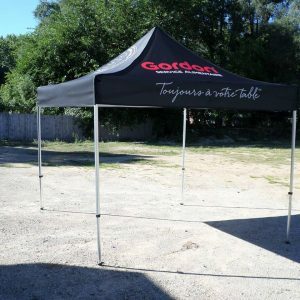 At Chicago Sign Company, we make sure that all of our clients’ tents are attractive and functional. It’s our priority that our tents catch attention, communicate a message, and then deliver positive customer experience. 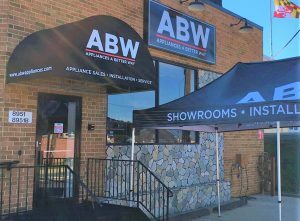 Chicago Sign Company creates pop-up canopies that are not only great for transporting and short-term use, we also make sure that they’re long-lasting. We source out the best materials from our network of suppliers in order to ensure the tents are both lightweight and durable. Our pop-up canopy tent frames can be made of aluminum, stainless steel, and steel, while our tent fabrics are made of quality polyester. 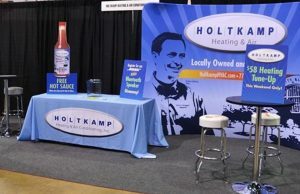 Chicago Sign Company not only produces canopy tents, we’re also a trusted local signage provider. 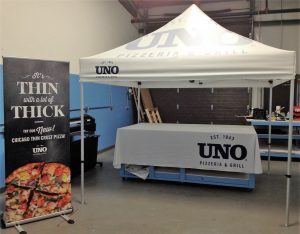 We have been in the print and sign industry long enough to know how important it is for every business to have cohesive branding, which is why our services can also include creating other promotional materials and booth elements along on top of high quality canopy tents. Call Chicago Sign Company today at (312) 626-3766 for your Free Consultation with a Canopy Expert!